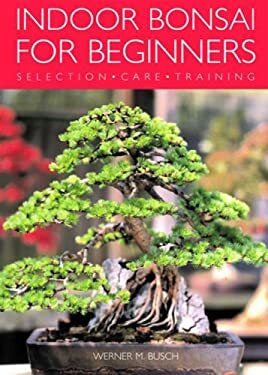 Creating beautiful, healthy bonsai is a wonderful skill that anyone can learn, with a little time, patience, and this all-inclusive manual. With color photos and drawings to illustrate the points, it introduces all the cultivation techniques; offers expert advice on location, soil types, watering, and pest control; and provides intricate instruction on training the bonsai--including pruning, wiring and stretching it. An A-to-Z guide of all the popular species showcases varieties that range from a flowering" Camellia Japonica," with its beautiful smooth stem, to an easy-to-care for Olive tree. Each entry gives some background on the plant, and includes suggestions for acquiring the bonsai and directions on how to position it in the room for best results.